Created in cooperation with young clients ages 12-25, this engaging app provides a full year of recovery support to young people use the life skills, peer, support, and spiritual focus needed to stay clean and sober. 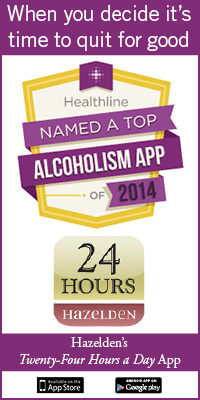 This award-winning app for adults provides information on the essential skills connected to core recovery principles..
With Hazelden’s mobile applications, you’ll find the instant motivation you need to strengthen your recovery and inspire personal growth no matter where you are. From apps based on our best-selling books that feature special enhancements like texts and video messages from the authors to those based on our best-selling meditation books, Hazelden mobile applications are there when you need them most, at the touch of your fingertips. Click here to view our selection of apps for the iPhone, iPad, and iPod touch. Click here to view our selection of apps for the Android. Help us get the word out by signing on to iTunes or your favorite Android retailer and submitting a review today!